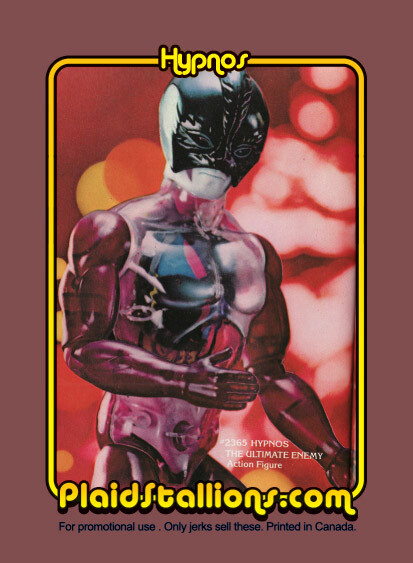 Plaid Stallions : Rambling and Reflections on '70s pop culture: New PS Trading Cards! It's been a long while since i printed up some new PS trading cards, mostly because of spending my time with Rack Toys (still available!) but this month I resolved to make some new entries. 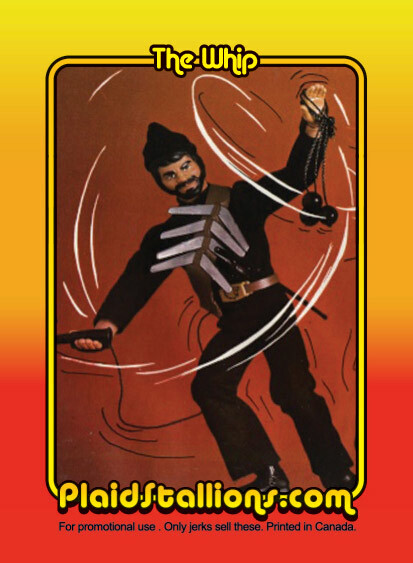 The first is card #40, the Whip from the Big Jim's Wolfpack line of toys. 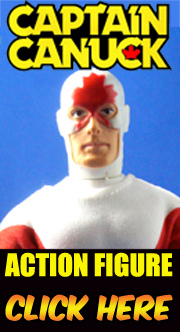 I had been doing the members of this team since the start and recently we started a Big Jim collector forum at the MegoMuseum, so it was fresh in mind and a fun image. I wasn't even planning to do Pulsar's enemy Hypnos as a card but when I came across this image, it just felt right. Although I'm sorry I didn't have time to correct the boo-boo in the corner, it adds to the charm of card #41. Pulsar was card #3 of this series, so you can make them fight i guess. So it's a double shot from Mattel! These just arrived so they'll start going out with orders, given away at toy shows and as prizes here.